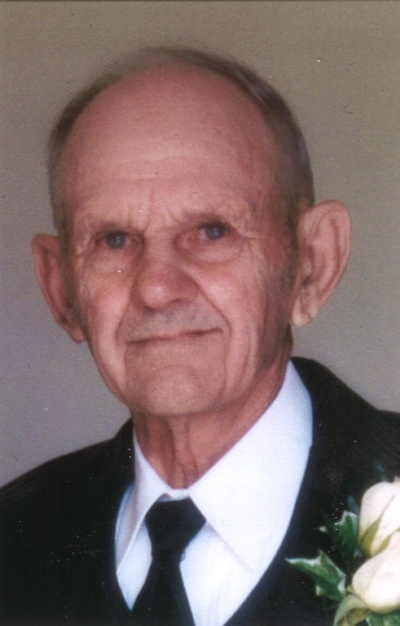 Funeral Service for Arlen L. Maschoff, age 94, of Fairmont, MN, will be 11:00 am on Friday, February 15, 2019, at St. Paul’s Lutheran Church in Wilbert, MN. Visitation will be Friday from 9:30 am until the time of the service at 11:00 am at the church. Interment will be in St. Paul’s Lutheran Church Cemetery with military honors provided by the Lee C. Prentice American Legion Post 36 and Martin County Veterans of Foreign Wars Post 1222. Arlen passed away on Friday morning, February 8, 2019, at the Good Samaritan Society in Jackson, MN. The Lakeview Funeral Home in Fairmont is assisting the family with arrangements. Memorials are preferred to St. Paul’s Lutheran Church in Wilbert. Arlen Leo Arthur Maschoff was born on July 28, 1924, in Martin County, MN. He was the son of Paul and Ella (Milow) Maschoff. He attended school at St. Paul’s Lutheran School in Wilbert, MN. On June 27, 1948, Arlen was united in marriage to Lorena Laue at St. Paul’s Lutheran Church. The couple resided in Rolling Green Township where they farmed together until retiring in 1992. This union was blessed with one son, David. Arlen and Lorena shared forty-nine years together before Lorena passed away in 1997. On November 23, 1945, Arlen joined the Army where he achieved the rank of PFC. He was awarded the Victory Medal and Army of Occupation Medal in Korea before earning his honorable discharge on February 17, 1947. Arlen was a St. Paul’s Lutheran Schoolboard member as well as the church council Secretary. He was also involved in the Lutheran Layman’s League. Arlen’s passion was for farming and caring for his livestock but also enjoyed the time he was able to spend with his family and granddaughter, Ellie. Left to cherish his memory include his son, David Maschoff, his wife, Jan, and granddaughter, Ellie Maschoff, of Jackson, MN; brother, Leon Maschoff and his wife, Bev, of Corrales, NM; sisters-in-law, Dorothy Laue of Fairmont, MN, and Erma Laue of Fairmont, MN; many nieces, nephews, other relatives and friends. Along with his parents, Paul and Ella Maschoff, Arlen was preceded in death by his wife, Lorena Maschoff; and brother, Lyle Maschoff and his wife, Maxine. Blessed be the memory of Arlen L. Maschoff.